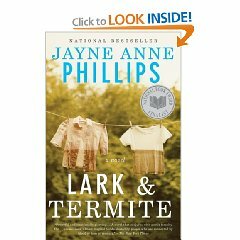 Received Jayne Anne Phillips’ Lark & Termite in the mail today, for review. Many thanks to Vintage Books for sending a copy of this National Book Award Finalist. Keep an eye out for a review in the near future. Previous Post Tell me again why I live here.